Leta��s get the party started! Time for the festivities… Deepavali, Halloween, and Annual Staff Dinner & Dances! Shop online from the US and enjoy exclusive costumes for your Halloween and Staff Dinner & Dances. 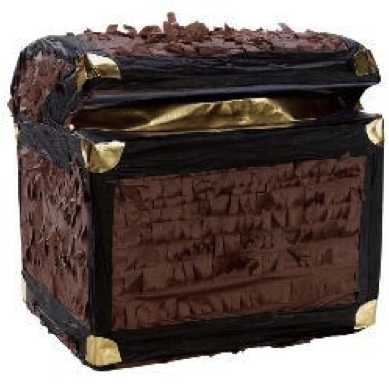 Or buy that perfect decoration piece for Deepavali and Your Office Parties. Now vsHUB gives you all the more reasons to shop online from US. Everytime you ship with us, you stand to win weekly prizes! Every member who ships will automatically qualify for a weekly lucky draw. Steal the night and as many kisses as you wish under the hood of this divine Blue Gothic Vampiress adult women’s costume. The sophisticated outfit highlights your ghostly white complexion and your dark beauty. Wear it from twilight to midnight and beyond. 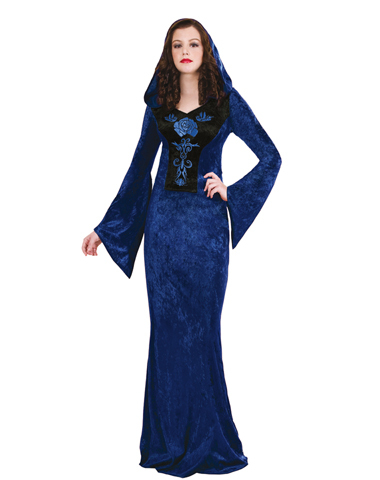 The Blue Gothic Vampiress adult women’s costume is a stunning 100% polyester hooded floor-length dress with bell sleeves and an ornately detailed bodice. A lovely lass with a heart for adventure. This costume includes top sleleves, skirt, hip wrap, and head tie. Pair these sizzling outfits with these great shoes! 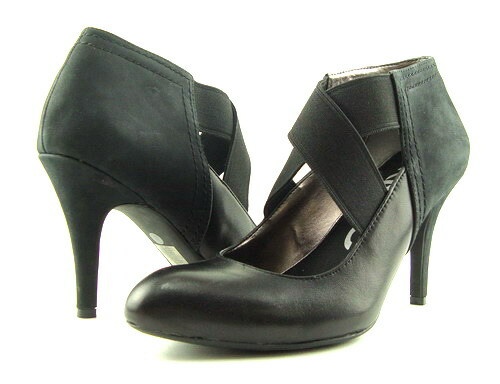 You’ll be an instant trendsetter wearing the two-toned appeal of these DKNYC Teela heels. Suede heel cup and covered heel. Slip-on style with elastic, criss-crossing vamp straps. Dress yourself up with the gorgeous Pardey from Bandolinoa�? 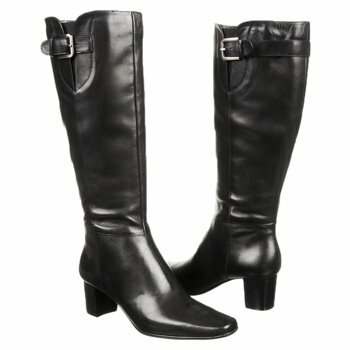 and let these darling boots do all the work to turn all the heads! Ring detail at top shaft. This Skeleton Cooler is the coolest prop at the party! 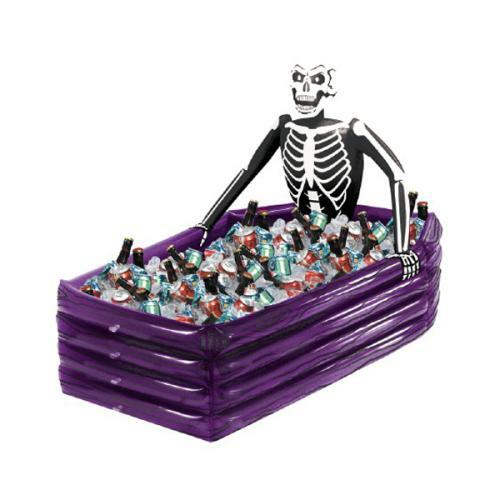 Useful, too a�� our Inflatable Skeleton Cooler is great way to chill Halloween beverages while keeping the party in theme. Durable vinyl Skeleton Cooler inflates easily and has a generous storage capacity, measuring 26in x 43in. Comes with a Princess Anneliese and a Rapunzel costume. 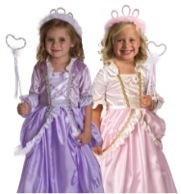 It also includes the Pink Tiara and Wand Set and the White Tiara and Wand Set. The 2 dresses and accessory sets are sold here for 15% less than buying individually! You can even select different sizes in each if you’d like. Your little one won’t take these off, they’re so comfortable! The top of the dresses are made of stretch velvet and adorned with adorable ribbons and trims. The bottom half is made of China Silk which resists wrinkles and is easy to maintain. The dresses have no velcro or zippers to frustrate your little one or snag the fabric. She can easily put them on and take them off herself as the bodices are made of a very stretchy velvet. This not only helps with ease of dressing, but also to accommodate a variety of sizes. As with all of our dresses, these are washable, wearable and made to last! Harry Potter Deluxe Harry Potter Robe Child Costume includes robe only. 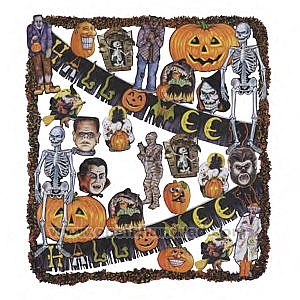 Ita��s Halloween! Let vsHUB go trick-or-treating with you. But with us, ita��s slightly different. Just treats, no tricks! Dress your precious little ones in adorable Halloween costumes! Perfect not just for Halloween but also for parties and other special occasions! All products featured below are not commonly found in Singapore/Malaysia. Shop @ http://oldnavy.gap.com/and enjoy FREE US Shipping for purchases above US$50! Let your little girl be even sweeter to look at…. Not forgetting the boys! They can play dress up and still have as much fun as girls! Dona��t want to go too fancy? Here are some simpler outfits that are suitable for both baby girls and boys that still bring out the Halloween spirit! Approximate Cost. Excludes shipping charges. These animal hoodies will keep your child warm and the centre of attention! Tougher designs for the boys that they will love! To complete the ultimate Halloween outfit, what better than a matching accessory? While wea��ve been so hyped about outfits for kids, we didna��t want to forget the lovable pets! Arena��t these costumes just a treat for your pet? Consolidate your shipping and save even more. Start shopping and ship with vsHUB today! In October 2011, a lucky member who ships with us will stand to win 1 of these great Prizes! Draw is open to qualified* vsHUB members in Malaysia and Singapore only. * Refers to vsHUB members who made full payment for shipment which entitles to them draw. Also refers members who have no outstanding payments in arrays. Happy Halloween from Disney Princess. Satin collar with jeweled Alice came.